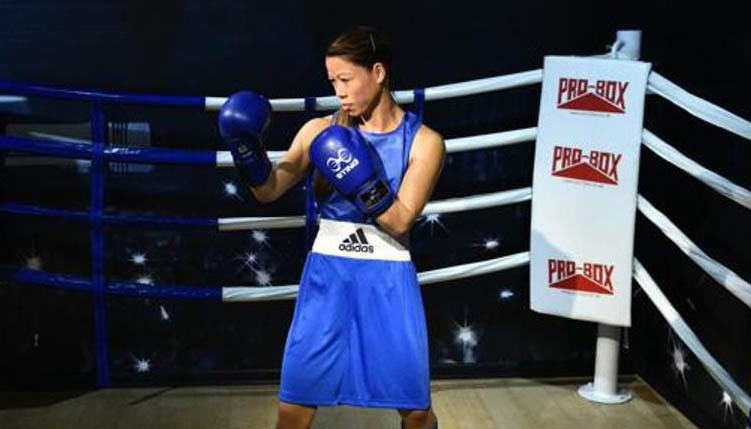 Northeast’s pride, boxer Mary Kom’s wax statue occupies pride of place in the newly-opened Madame Tussauds Wax Museum in Delhi. The internationally famous wax museum opened its first centre in the national capital, to unveil 50 lifelike wax figures. These include multiple national and international celebrities such as sport personalities like Mary Kom, Sachin Tendulkar, Milkha Singh and Lionel Messi, Amitabh Bachchan, Kareena Kapoor, Mahatma Gandhi, Prime Minister Narendra Modi to name a few. Manipur boxer Mary Kom, is a five-time World Amateur Boxing Champion and the only woman boxer to have won a medal in each one of the six world championships. Nicknamed ‘Magnificent Mary’, she is the only Indian woman boxer to have qualified for the 2012 summer Olympics, competing in the flyweight (51 kg) category and winning the bronze medal. Housed in the heritage building Regal Cinema, which shut its doors earlier this year to make way for the global attraction, the museum has been specifically designed with Indian audiences in mind. It has five entertainment zones – history, music, films, sports, and party. There is a special section where visitors can get personalized hand sculptures done to take home. To make sure that the museum is accessible to all, the building has been made handicap-friendly along with functional lifts installed for all floors. There is also a souvenir store where visitors can buy various things related to Madame Tussauds.